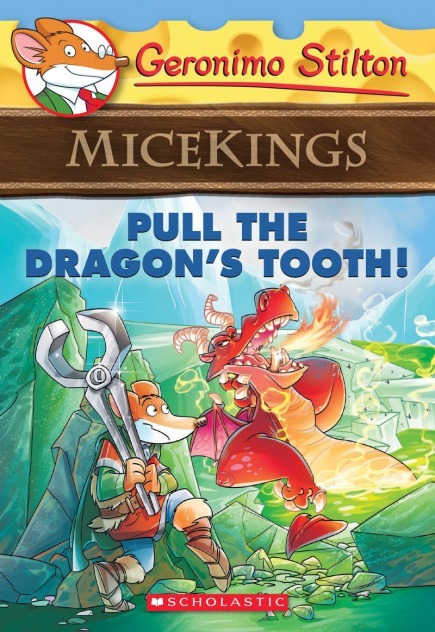 Home › Books › Micekings › Micekings #3: Pull the Dragon's Tooth! Miceking chief Sven the Shouter has only one goal: to transform Geronimo Stiltonord into a he-mouse. To prove his worth, Geronimo must pull out a tooth from a dragon's mouth! Shivering squids! And to get to the dragons, Geronimo must ford icy rivers and face scary creatures. Will he ever earn his miceking helmet?